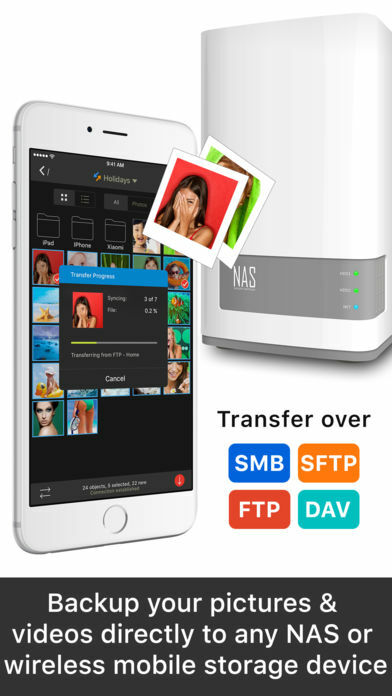 Transfer and backup photos & videos to computer, NAS, cloud & photo services wirelessly. • Total user control & fully customisable. Be totally independent of the cloud! 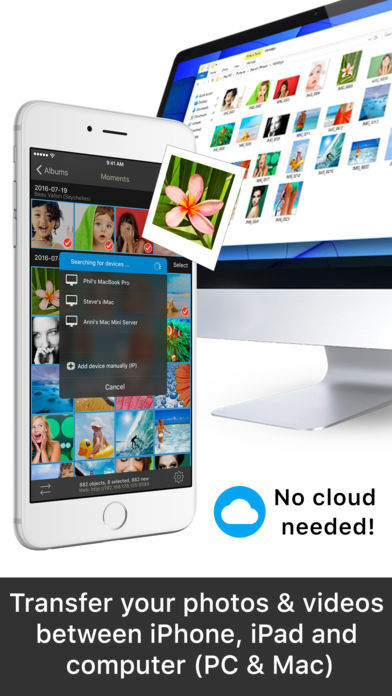 • Send photos & videos from Windows PC or Mac directly to your iPhone, iPad or iPod touch. 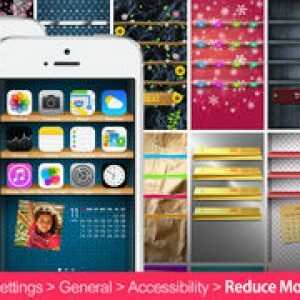 Choose from existing albums or create new albums. 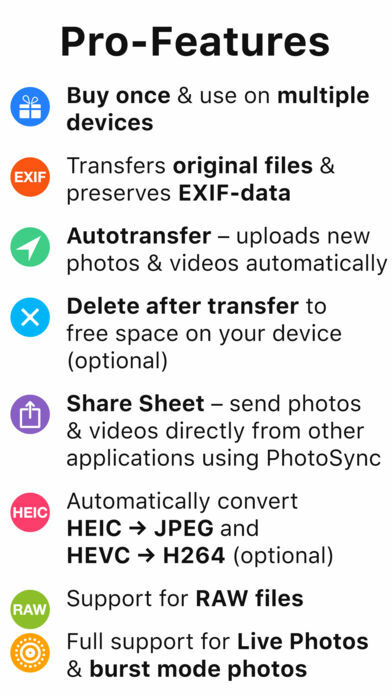 Received photos & videos are imported directly into the Camera Roll or an album you defined. • Transferring between iOS devices, Windows PC and Mac works directly over the local Wi-Fi network. 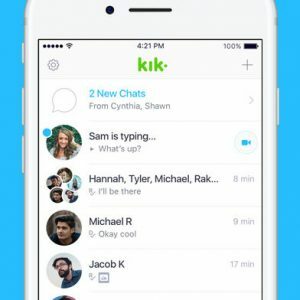 Your photos/videos never leave your local network nor go over the Internet. 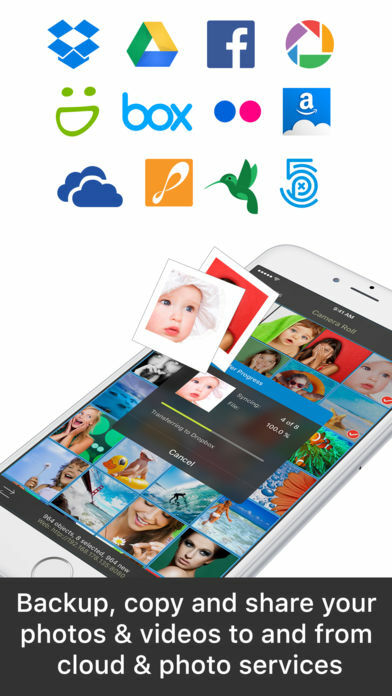 • Directly send photos & videos between iPhone and iPad over your local Wi-Fi network, Personal Hotspot or Bluetooth. No computer or cloud needed! 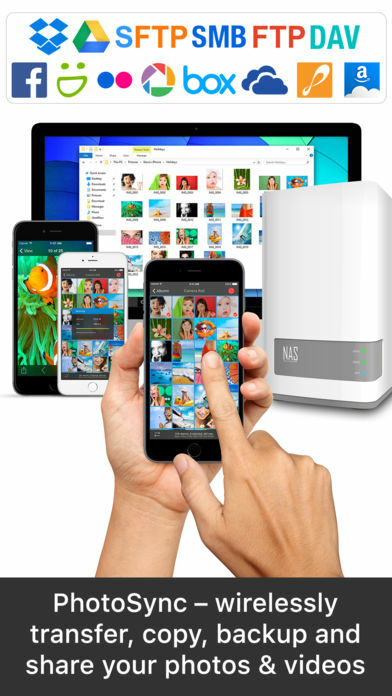 • Automatically backup new photos/videos in the background to computer (PC & Mac), supported cloud/photo services, your private cloud or NAS, whenever you arrive at pre-selected locations. The FREE PhotoSync Companion for Windows PC and Mac makes the transfer experience quick and easy. 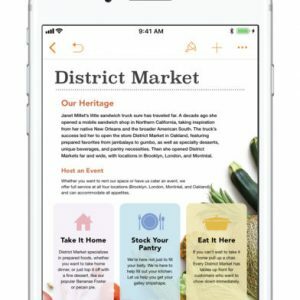 It lets you beam photos/videos to your device by drag & drop.